This photo is copyright to CUFORG. The photo was taken in St Austell Cornwall. A witness reconstruction of the UFO. 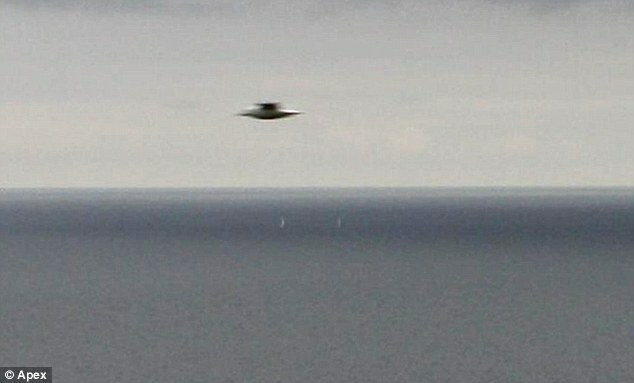 A image of the UFO spotted above Portreath last night. 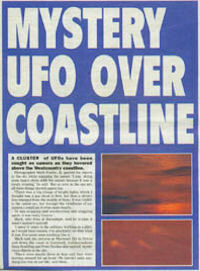 AN UNIDENTIFIED flying object (UFO) was spotted by several people in the skies above Portreath last night. The mystery object, which has been described as “quite large” and “triangular”, was spotted around 11pm by households in the Porthreath and Helston areas. 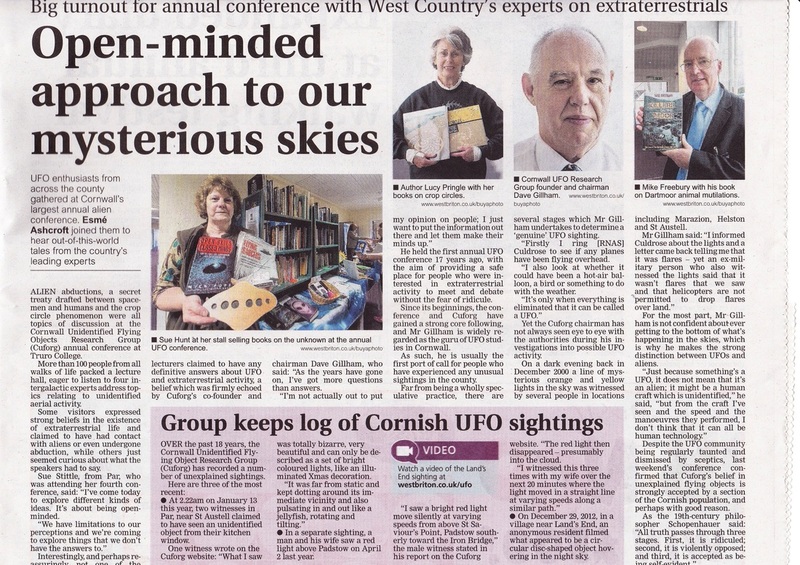 Now founder of the Cornwall UFO Research Group (Cuforg), Dave Gillham, is appealing for witnesses to come forward to shed some light on the unexplained aircraft. Mr Gillham said: “I like to log these things to find out what they are. “Apparently there were quite a few people who saw the sighting last night. 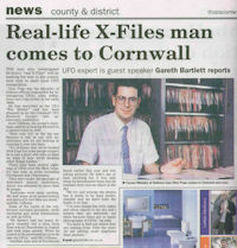 The Cuforg founder was one of five people currently known to have seen the UFO. Mr Gillham said: ““It had a lot of white lights at the front but none that I could see at the back. 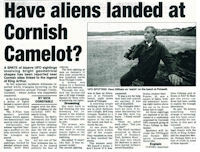 “It came from the Porthreath area and very slowly and quieter than a helicopter or plane [and] headed towards Helston. “It was definitely not a helicopter or plane. One witness, who wishes to remain anonymous, had an eerie experience after attempting to capture the UFO on her camera phone. “I videoed it, watched it [and] went inside and next morning it was gone from my phone. Just a mass of bright light." 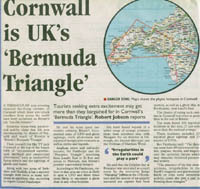 Mr Gillham is keeping an open mind about the UFO and has admitted that it was seen on a flight path to the RNAS Culdrose naval base. Anyone with information about the sighting can call Dave Gillham on, 01872 276381.